The Yellow Fish scheme raises awareness about sources of water pollution and the quality of water in streams, rivers, lakes or ponds. 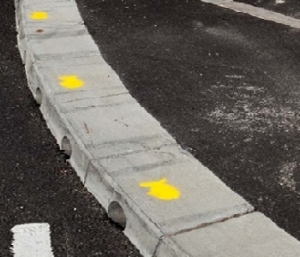 The ‘Yellow fish’ approach has been used all over the world to remind people to protect the environment by avoiding pollution. 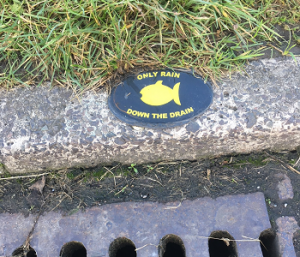 Putting a yellow fish symbol beside surface water or storm water drains lets people know that anything entering the drain may go directly to the nearest stream, river, lake, canal, beach or bathing water – causing pollution and impacting or killing wildlife. Our Guidance Manual for Yellow Fish will help you organise a local Yellow Fish project. Complete and return the feedback form with your project details and we’ll add your project to our Yellow Fish Map. For Wales, refer to Keep Wales Tidy website.